A question that we often get asked at Askia is when did it all start? A simple enough question you would have thought – but the answer depends on whom you are talking to. I’d probably say 1996, when we changed our name to Askia. However Jérôme would argue back to 1994 when he first created a company called “Peter Holmes”. Yes, Peter Holmes … but that is a different story. Well whoever is right, it was definitely in the previous century and we all have “grown” during the time that has passed, as has our industry. Twenty-odd years is quite an achievement in itself for a business, but the last few years have been by far the most challenging from an industry point of view. In this article, we’d like to illustrate how Askia has chosen to adapt to a changing research industry without losing its original motivation. The Askia DNA – “Building technology to help MR professionals understand & predict human behaviour”. Over the years, Askia has managed to build an international reputation through a continuous involvement in our research community. Askia employees across all our locations are often seen as industry experts who have an in-depth understanding of our clients’ business needs. And our network of partners and power-users is made up of some of the most gifted individuals in the industry. Significant changes for Askia started back in 2014 when new market conditions (outlined below) really began to make an impact on the MR industry. The change of paradigm resulted in a whole new set of challenges for our clients and the saw a plethora of new competitors enter the market. Askia, as a partner to our clients, had to come up with a new value proposition, requiring an inspired product roadmap and sound company strategy to assist our clients during their transition. We choose to become agile and resolutely customer-centric. Automation – probably the most important change in the industry. This technological shift consists in minimising the number of people involved in the creation of research projects using modelled data collection methodologies, automated data processing and standardised reports. Application Programming Interfaces (APIs) – allowing customers to integrate survey systems within their existing internal solutions (CRM, etc.) and free themselves from traditional single-vendor dependencies. This makes it easier than ever to consolidate different technologies; to extract and distribute information back and forth from an unlimited number of specialized suppliers. Behavioural data – which makes it possible to understand individuals based on observed behaviours. It is a rich & exciting method of collecting respondent data by drawing on respondents’ unconscious and emotional states. This is illustrated by techniques such as implicit measurement (Browsing history, loyalty cards data, …) and/or the immersion of the respondent in a much more visual & engaging survey world, with fewer traditional questions and answers. DIY platforms – “Do-It-Yourself”. In recent years end user companies have been allocating increasing proportions of their research budgets on new, user-friendly survey technologies – for projects that don’t necessarily need the operational muscle and expertise of a research agency. Voice Biometry & Speech Recognition – there is an opportunity that remains largely untapped by the industry to analyse audio content to understand consumer behaviour. 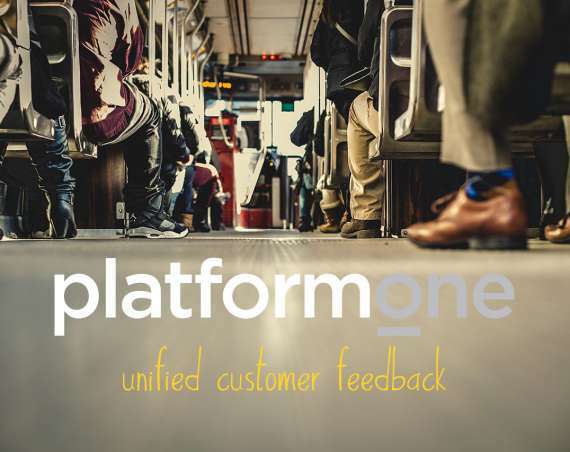 Voice of Customer Programs – Advertisers are increasingly working in partnership with agencies & technology providers to build comprehensive VOCs through large-scale Enterprise Feedback Management (EFM) systems, integrated with Client Relationship Management (CRM) solutions. Smart clients can combine these programs with insight communities that regularly connect with a subset of customers with a mix of quant & qual projects to understand specific topics at a deeper level. Finally, the GDPR standard is also a key issue for our industry. Research buyers and agencies alike are concerned about how its application affects their studies. They require technical solutions that meet the requirements of these new standards of compliance. The continuing digitalisation of market research means that more than ever, data collection methods have to be adapted to digital uses with, for example, the integration of different mobile sources, devices used, photos taken, etc. The multiplication of data sources means that data collection had to be enriched by data from the web or passive data (emotions, website visits, geolocation, etc.). Finally, reporting is more than ever the place where value can be added. Agencies need to deliver quickly & relevantly to all the different stakeholders of the research, wherever they may be located using dashboards and data visualisation. Clients need actionable data – AI and machine learning need to play a part to highlight significant results with little human interaction. These changes and challenges have opened up opportunities for new forms of competitors to traditional research agencies. New market entrants such as Zappi, Fastuna, Maoni Online and a host of panel companies with their own technology are offering end-clients easy-to-use and inexpensive technical solutions. In order to maintain their market share, research agencies must be more agile and skilful in modernising their offerings. They are rich in know-how and have many assets but must adapt to meet the new challenges of the market. To succeed in their technological transformation, agencies must work closely with smart and experienced technology partners so that they can stay relevant in today’s MR Industry. 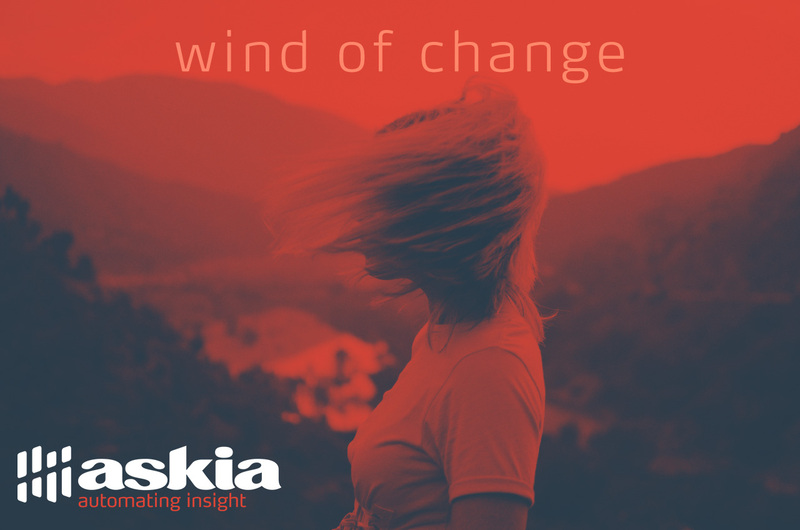 A few years ago, Askia began a strategic shift and published a white paper called “Askia 2016: The Times They Are A-changin” associated with a four-year ambitious & inspired roadmap leading towards a new product offer – The Askia Web Portal. Back then and even though we were seen as thought leaders, we felt we were not producing the most cutting-edge, innovative, interfaces anymore. We decided to embark on a plan to refactor much of the existing core software (that would make it more nimble) and invested in a number of ambitious projects on our own and/or with our network of development partners. IRIS – Dashboard builder in a joint-venture with E-tabs Ltd.
CODEIT – AI coding of verbatim texts in partnership with Digital Taxonomy Ltd. This year, 2019, is an important milestone for us as we are launching the first piece of our new product line, the new Askia Portal. This new platform provides our users with different ways of accessing the Askia technology. It will consolidate our presence in the market for research agencies (our traditional client base), and also allow Askia to be used by the end user market. As well as changing the software technology that we provide, we have also undergone a major review and strategic change in the way that we organise the company and address our market. Our customers have trusted us for years to develop tools that meet their challenges. As the key partner for their operational technology, we have grown accustomed to working really closely with clients and being true partners for them. And year on year, the amount of complexity involved in delivering a market research business has increased significantly – so technology partners are key. Askia is responding to this ever-changing and complex world by systematising the various ways that we have grown to work with clients on their operational challenges. Askia is launching a range of Consulting Packages that provide “expert advice” modules. All consulting modules start with an audit of our customers’ production tools & processes. The idea is to make recommendations, propose solutions and commit resources to ensuring a success of the project. Consulting Packages are providing guided assistance on challenging transition such as automating data analysis delivery, Web page front-end building, cloud migrations, data integration and dashboard building, GDPR data flow audit, legacy to modern scripting, management of full production migration, on-premise integration auditing, project kick-off assistance, RFP assistance and templated survey solution building. The above packaged solutions are in addition to our existing installation, training and ad hoc consulting services based around our product set. Our recent user survey shows that Askia has a very supportive client community. We believe that by drawing on our experience to meet our customers’ technological challenges, Askia will use its highly specialised resources to ensure the success of this strategic organisational change and build a strong business relationship based on co-working with partners. As mentioned above, we strongly believe that automation is one of the areas that our clients will embrace and that Askia and our technology will be central to our clients remaining successful. It is time for us to be much more than a company that simply provides survey software to our clients and so we have decided to change our company tagline from “Askia, software for surveys” to “Askia, automating insight”. 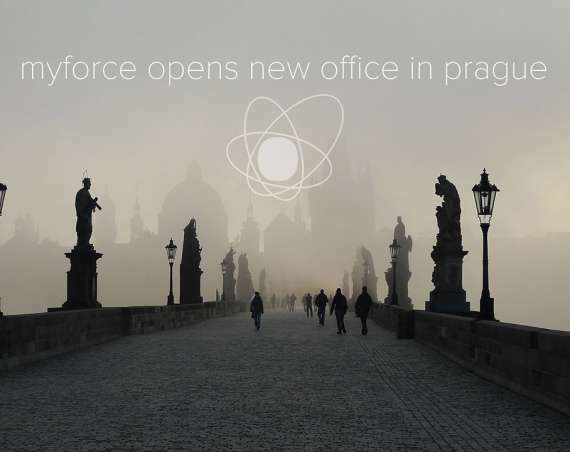 Myforce opens a new office in Prague!